Supershed portable building info: click here! ​Free delivery anywhere in Oklahoma on new orders!! Rent to own payments start as low as $60 per month. No credit check necessary. ​Polar Shed insulated portable building info: click here! Chicken coop portable building info: click here! Green House portable building info: click here! 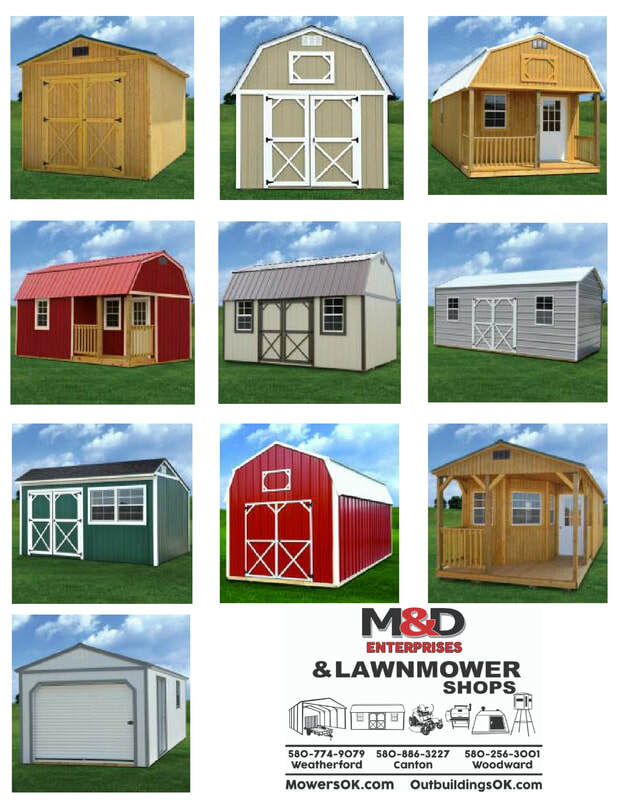 At M&D Enterprises we have 5 fully staffed locations to better serve you, and we offer portable buildings from several manufacturers so we can try to have the building to fit your exact needs. What you see on our lots is merely a sample of what we can order for you! 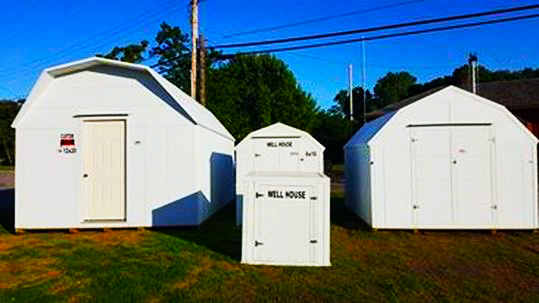 While we will happily sell the buildings on the lot, they are also to show a good example of some of the buildings we can order for you in various sizes, styles and finishes! Let us get you the exact size and style of building to suit your needs!